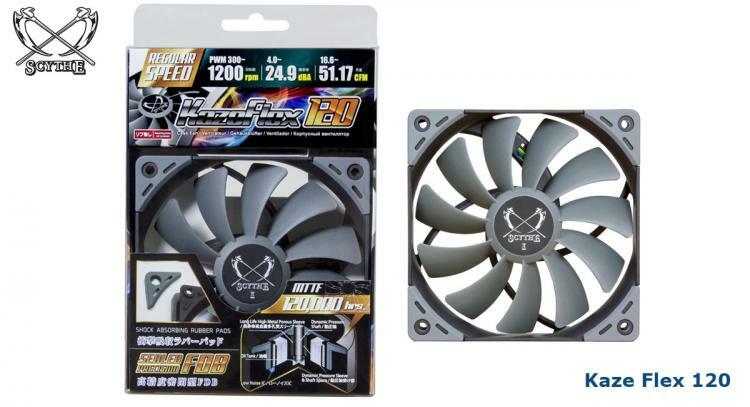 Scythe introduces the Kaze Flex 120 Premium Fan Series coming out of the Kaze Flex PWM fans that comes in bundled with the award-winning Mugen 5 Cooler. 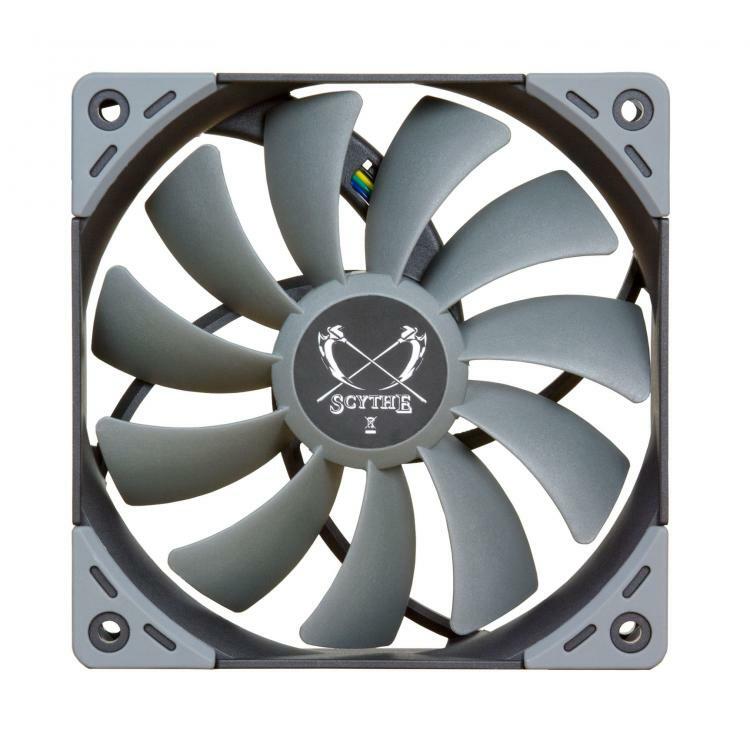 Scythe designed a complete series with three different models with different RPM ratings. It features the sealed fluid dynamic bearing (Sealed Precision FDB) ensuring an average life-span of more than 120,000 hours. Decouplers are also attached to the fan frame reduce the transmission of vibrations and thus contribute to a very low noise level. Sealed Precision FDB – The Kaze Flex Series are equipped with a self-contained fluid dynamic bearing made with high quality compressed metal and lubrication that’s resistant to temperatures of up to 250C° which in turn reduces friction and minimize wear. 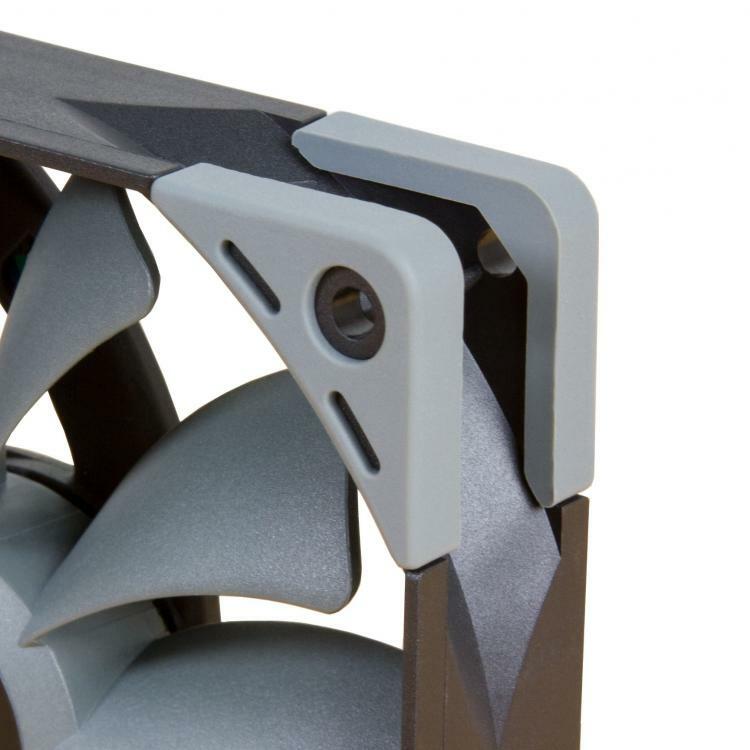 This improves the average life-span of the fan extending it to 120,000 hours. 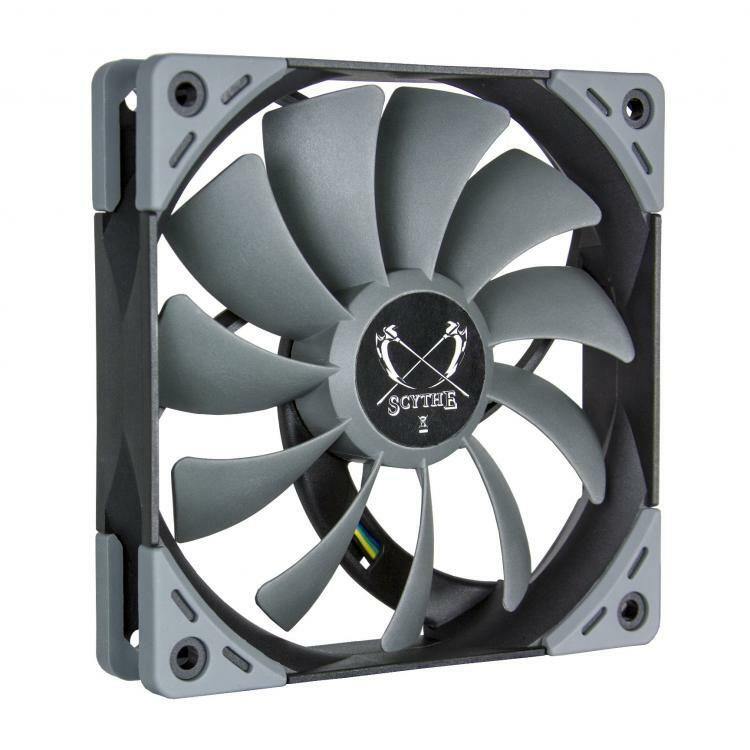 Integrated Anti-Vibration System - The Kaze Flex fan series is equipped with vibration- and shock absorbing rubber pads which cover the tunnel-less mounting holes. These decouplers effectively eliminate possible vibrations and allow low-noise operation. 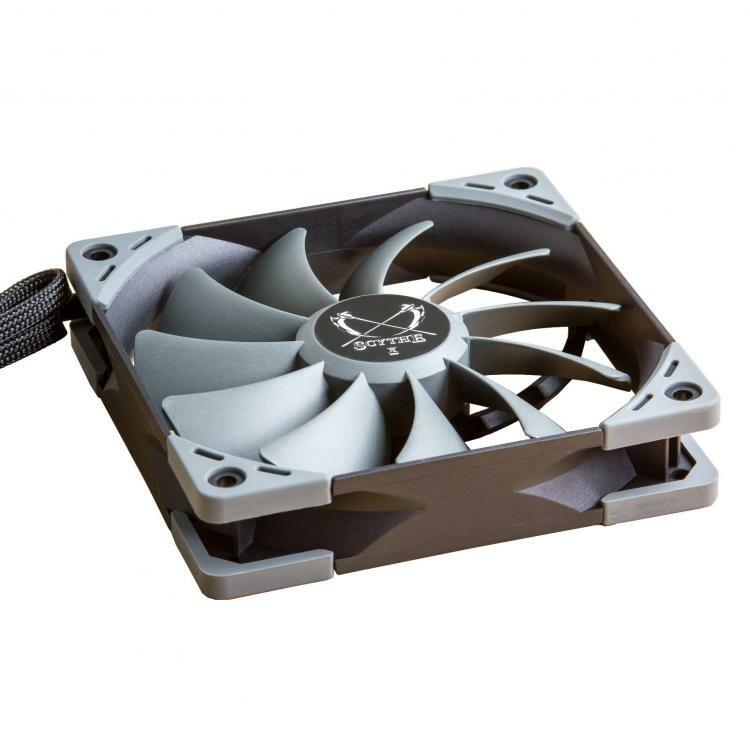 Versatile Applications - With the availability of different RPM ratings, the Kaze Flex fans offer solutions for different builds depending on the cooling performance required.